A delightfully bitter way to sweeten your day! 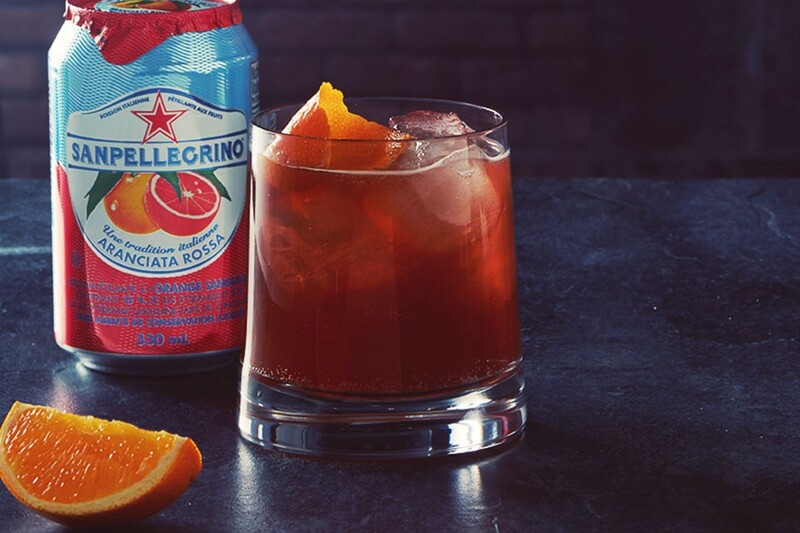 Combine campari, sweet vermouth and gin in an old fashioned glass filled with ice Top with a splash of SAN PELLEGRINO Aranciata Rossa and stir. Circle the edge of the glass with a flamed orange peel, lightly squeezing to release the oils. Drop the peel into the glass.